Currently serving her third Chamber, Annette has been in nonprofit management for over 20 years beginning in the fine arts industry and for the last 15 in the Chamber of Commerce space. She is a graduate of the US Chamber Institute for Organization Management program earning the distinction IOM (2009), followed by roles as class advisor, Board of Regents and currently as faculty. As a chamber consultant, Annette worked with chambers all over the U.S., Canada, and South Asia facilitating membership campaigns and training and coaching staff, volunteers and boards of directors. She has a quick eye for assessing the organization, its challenges and obstacles and identifying solutions for new efficiencies and success. When meeting with diverse organization constituencies from board leadership and community leaders to event volunteers and staff she is able to fluidly adapt to the audience and to deliver an organization message appropriate to the situation. Annette is an active speaker and retreat and workshop facilitator. 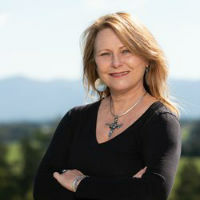 She has given presentations for State Chamber Associations in Iowa, Georgia, Pennsylvania, Carolinas, Maryland, Virginia, Association of Chamber of Commerce Executives (ACCE), and many local Chambers of Commerce, Associations, Non-Profits, Universities and Individuals across the US & Canada. Hannah was raised in Augusta County and prides herself on being a “local”. 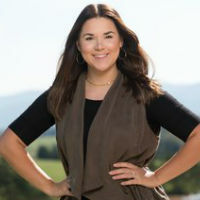 Prior to accepting the Chamber position, Hannah was the Event and Catering Manager for CrossKeys Vineyards in Mt. Crawford VA, where she led a team to complete over 75 successful events yearly. She also has 7 years experience in sales and business development which has given her the ability to connect with people in a more meaningful way. Hannah’s primary focus at the Chamber is Membership Engagement. 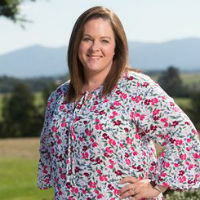 She strives to make sure the membership is connected to the opportunities the chamber has available. Hannah currently resides in Stuarts Draft with her husband, two children, two dogs and cat. She enjoys spending her free time with family, watching live sports, and exploring the outdoors! Kim was born and raised outside of Charlottesville and has been residing in Waynesboro since 2012. She received her B.A in Marketing from Lynchburg College in Lynchburg, VA and is a licensed real estate salesperson. Kim has extensive knowledge in Marketing, Communications, Event Planning, and College Admissions. Kim married her high school sweetheart and they have 3 children. Kim enjoys spending time with her family and friends and loves watching College Football. Kim can assist you with anything marketing or communications when it comes to the Chamber! Whether it be: Member Messages, What’s Up at the Chamber, Social Media, Community Profile and Business Directory or the Website! Feel free to contact her with any questions you may have.